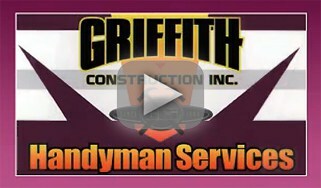 Griffith Construction, Inc. is your local handyman service company. 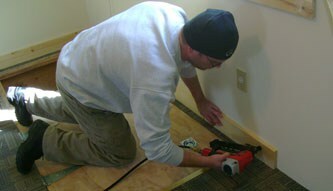 Griffith Construction, Inc. offering a full line of carpentry work and carpentry repairs including. If your deck needs a little work to look its best, we can provide the expertise and know-how needed to restore it to its previous condition. Because we install decks professionally, we understand the structural elements of these components of your home and can provide you with the best possible options for restoring and extending the useful life of your deck and patio installations. Broken bannisters, damaged spindles and creaking steps can reduce the functionality of your interior stairs and can have a negative impact on the appearance of your home. The experts at Griffith Construction can restore your stairs and eliminate those annoying squeaks and scratches, allowing you to enjoy a clear path to and from the ground floor of your home. Scheduling repairs to your stairs now can also prevent small problems from developing into major issues in the future. If the trim and baseboards in your house could benefit from repairs or updating, we can provide you with the best and most affordable options for replacing these items or restoring them to their former beauty. We will work with you to ensure that your new trim complements your décor and that it provides you with the look you want for many years to come. The team at Griffith Construction specializes in creating gorgeous custom cabinetry for your bath, kitchen and any other area of your home. We can install shelving to create a new library or added storage, allowing you to enjoy your home to the fullest and to customize your space to suit your needs and your tastes perfectly. Our carpentry experts can provide the framing and installations services you need to restore your windows and doors to full functionality. We can repair your existing window and door frames, allowing you to enjoy the most practical and beautiful solutions for these essential components of your home. 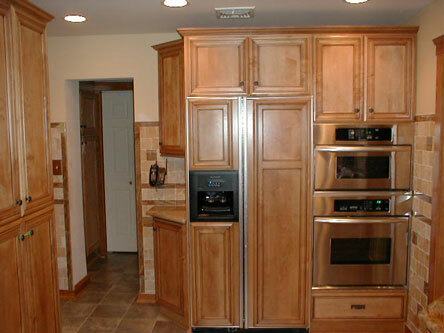 If you need carpentry services in the northern New Jersey area, give us a call at 973-831-6102 or at 201-493-9999 today. We look forward to the chance to serve you.